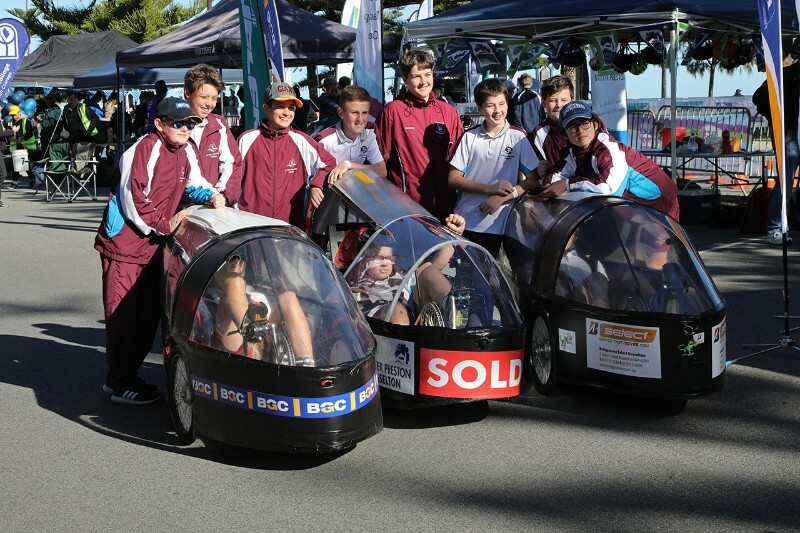 Year 7 and 8 students from St Mary MacKillop College earned a place on the podium in the S1 category at this year’s Busselton Pedal Prix. 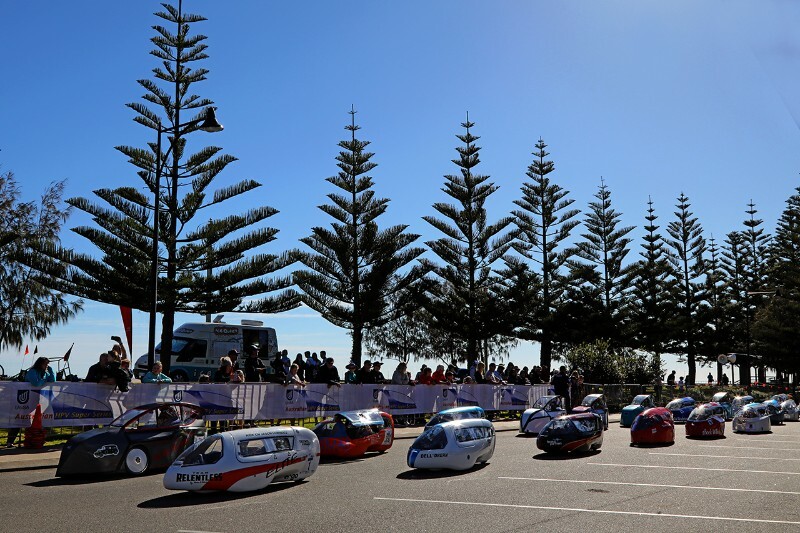 This annual event is a six-hour race using human-powered vehicles, where teams pedal as fast as they can over an 850 metre circuit with straights, chicanes and some serious hairpin corners. 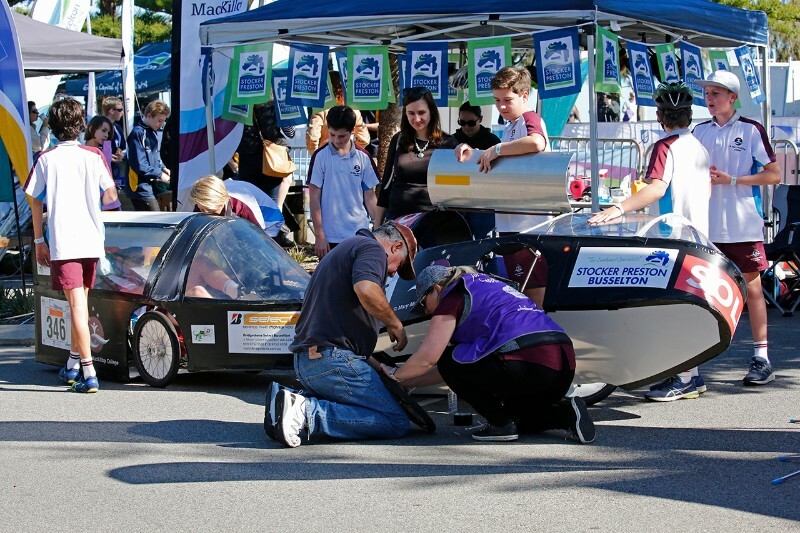 Laps are tallied, and the winner is the vehicle completing the highest number of laps in the time. 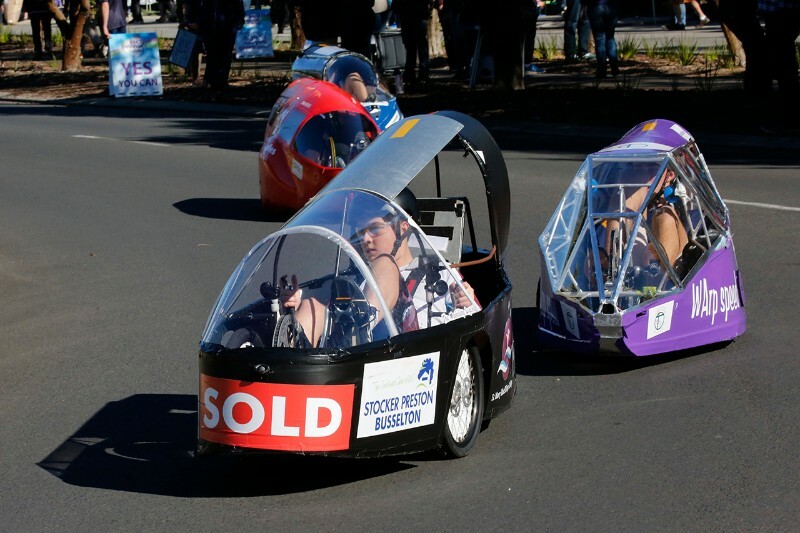 This year, with points from the Busselton race going towards the National HPV series for the first time, 46 teams were entered across six categories, with plenty of schools coming down from Perth and travelling across from other states. 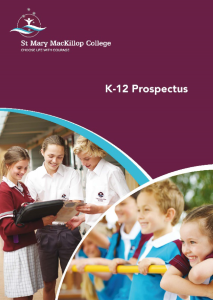 The three teams from the College were up against some seasoned and well-resourced teams from Hale School and Living Waters Lutheran College in Perth. The Year 7 team of Dusty Hedley, Hiroki Rule, Reilly Bridgham and Finn Breeze (sponsored by Bridgestone Tyres) kept up a steady pace throughout the day. The boys were excited to take the lead when Hale’s ‘Off the Rhales’ trike ran into trouble, and they managed to hold it for several laps. 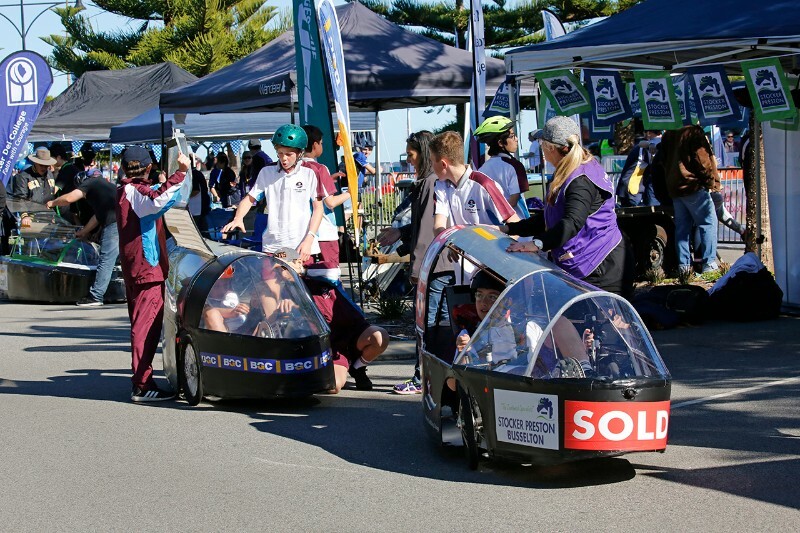 However Hale’s blistering pace soon caught them up, and although the MacKillop Mustangs pushed it hard to the finish, they were pipped by only five laps in the end – 20th overall just ahead of GMAS’ S2 category team. Fourth place in the S1 category went to the MacKillop Ostriches: Noah Andrews, Miller Leeson, Logan Philp and Max Marshall (sponsored by BGC) and completed 156 laps. 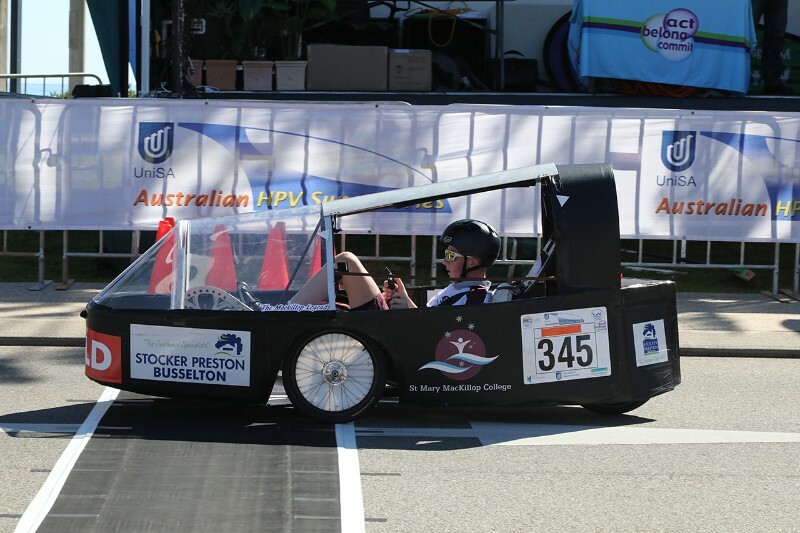 The MacKillop Legends of Ethan Lauro, Denham Stewart and Matthew Burgess (sponsored by Stocker-Preston Busselton) came in fifth with 149 laps.